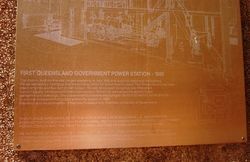 A plaque commemorates the first Government power station and the first electric lighting in Parliament House in 1886. Note : 10-July-2017 : As part of the Queen`s Wharf Brisbane development the Department of State Development was required to remove the plaque as the site is now a construction zone. The plaque will be reinstated into the precinct when construction is completed in around 2022. The station, built on this site, began operating in July 1886 and supplied electricity for lighting the parliamentary buildings and the printing office for about twenty years. Two Robey locomotive type steam engines and two belt driven Edison 110 volt, 30 kilowatt dynamos provided direct current supply. Underground electrical mains in William St connected the station to the parliamentary buildings. The Government`s initiative encouraged the firm of Barton, White & Co. to provide Brisbane's first public electricity supply in 1888. Research and construction : Emeritus Professor S. A. Prentice, University of Queensland. 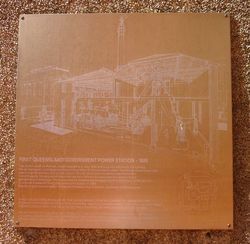 This plaque was unveiled by the Honourable Ron McLean M.L.A., Minister for Administrative Services on the 27th April 1992 to commemorate the first Government power station and the first electric lightining of Parliament House in 1886. 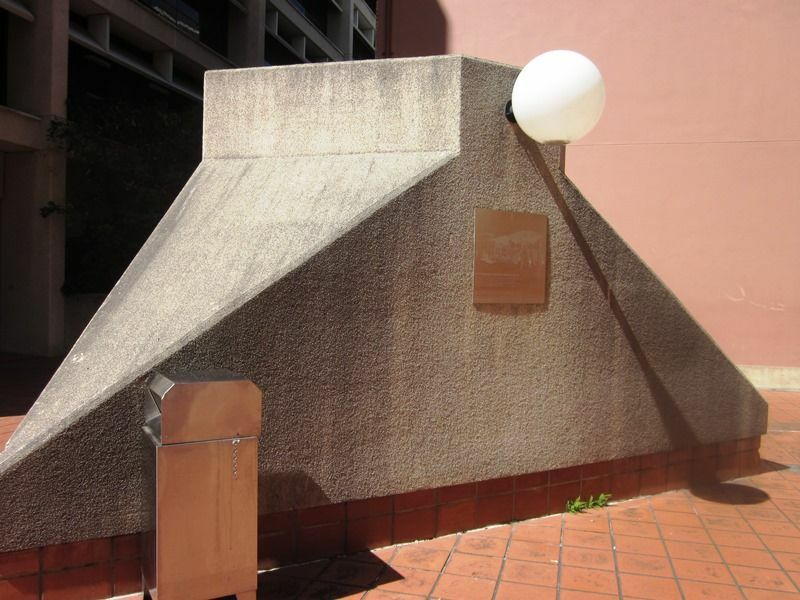 An initiative of the Heritage Panel of the Institution of Engineers, Australia, Queensland Division and sponsored by the Queensland Administrative Services Department and the Queensland Electricity Commission.